A NEIGHBORHOOD BAR & KITCHEN IN THE HISTORIC LOWER GARDEN DISTRICT WITH OVER 300 WHISKEYS. Barrel Proof embraces classic and traditional drinking. We believe in great spirits shared among friends and neighbors. 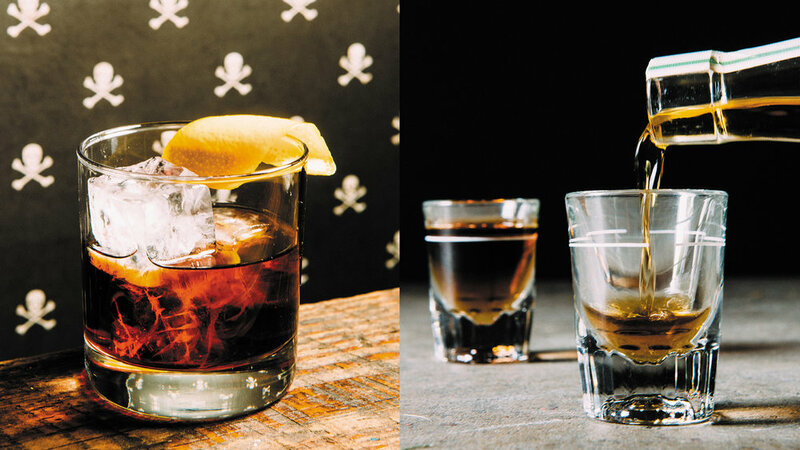 At the bar, whiskey and beer are featured prominently, but we carry great spirits in every category. We offer over 300 whiskeys and 50 craft beers from the US and across the globe. Knowledgeable, unpretentious, engaging and fun bartenders are vital to Barrel Proof’s our being a world-class neighborhood bar in the Lower Garden District. In being so, our staff can capably walk guests through our menu offerings or simply make someone stopping in for a shot and a beer feel at home and among friends. We stopped counting at 300. We add new, limited, and baller whiskies weekly. Longbranch Bourbon, Curacao, amaro, "Tobacco"